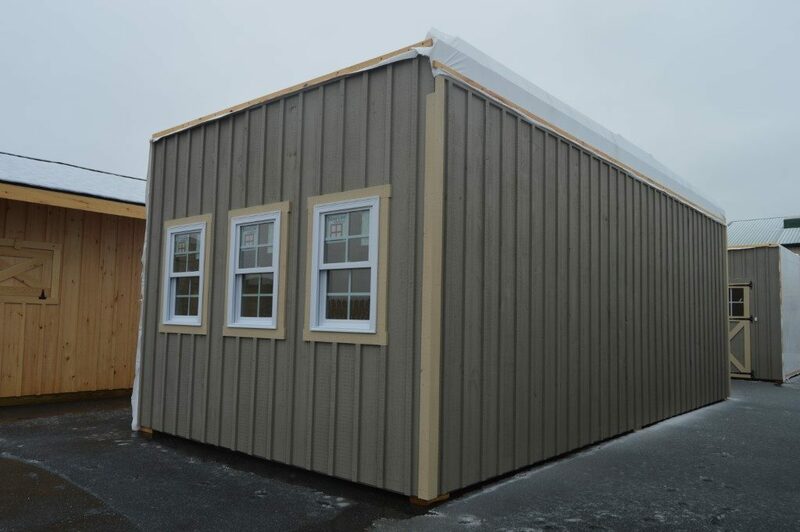 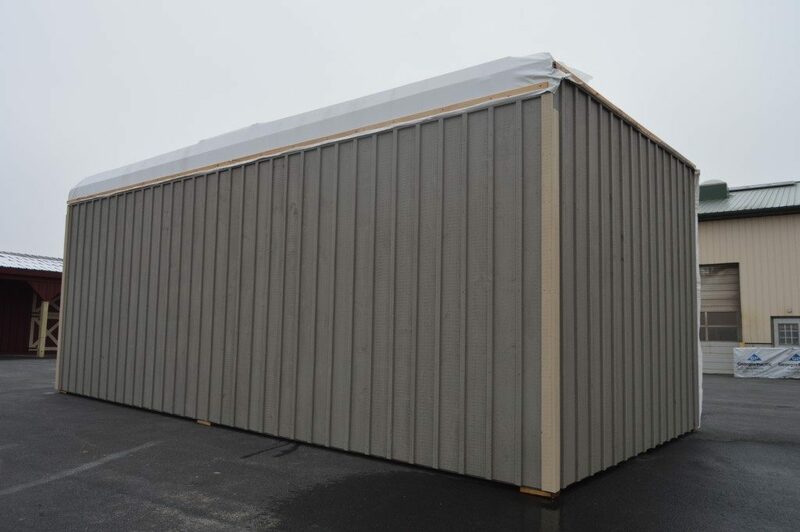 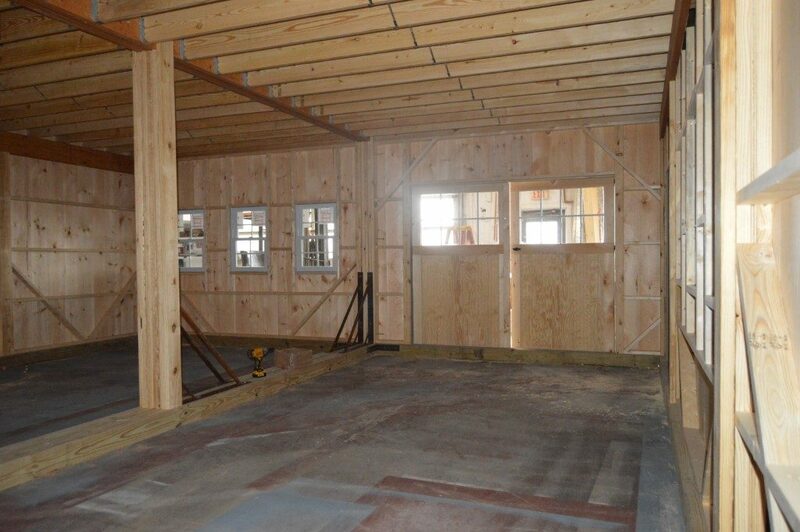 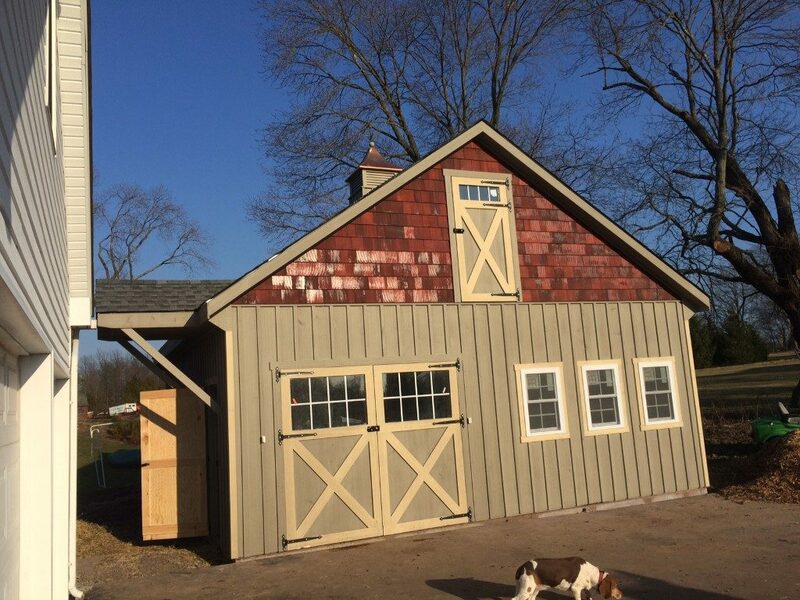 This is a 24’x26′ double-wide garage with loft and 9′ high walls. 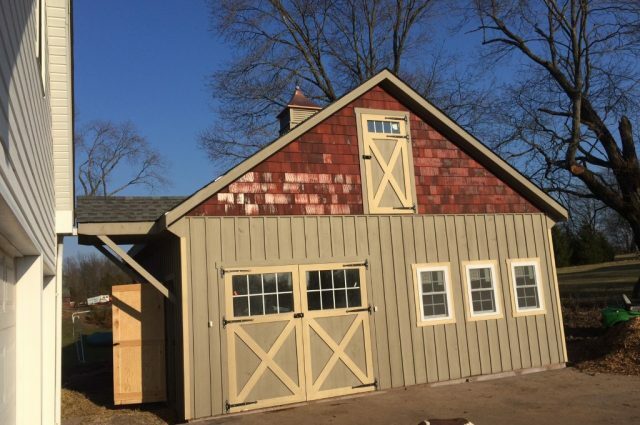 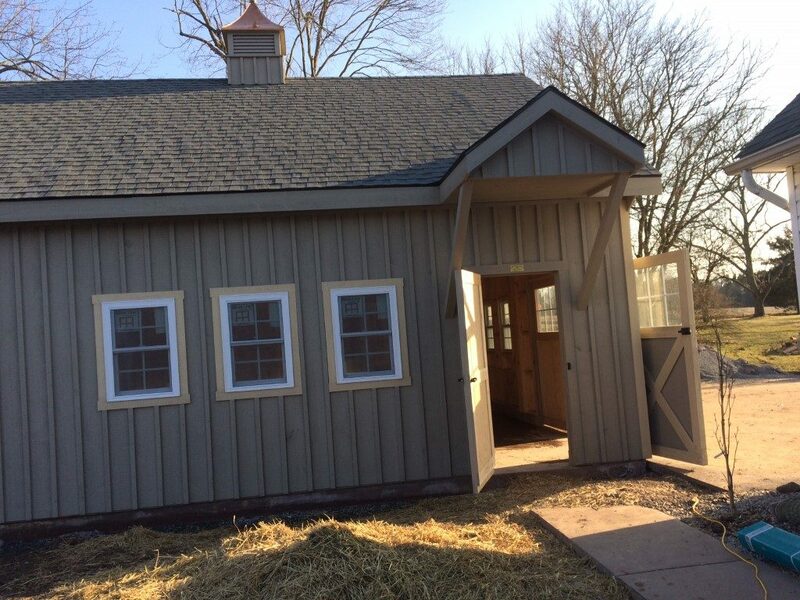 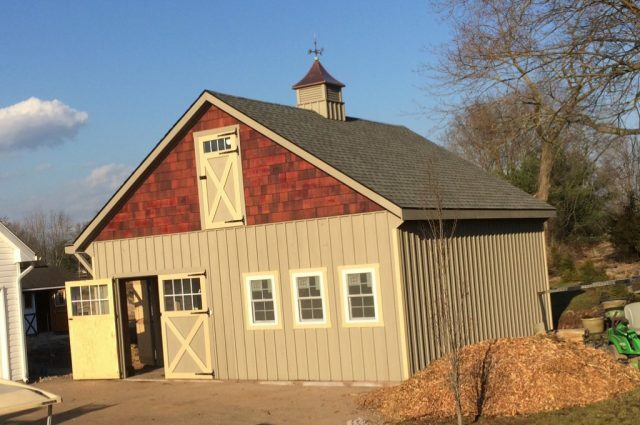 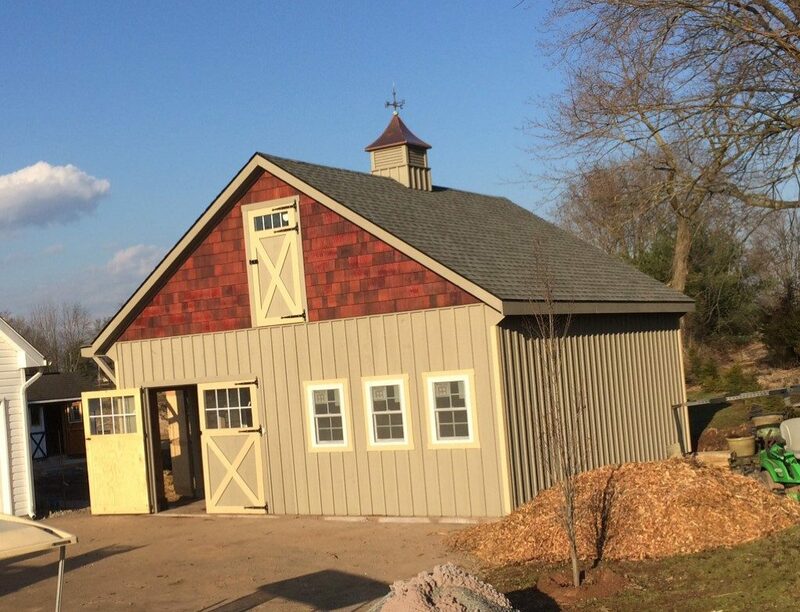 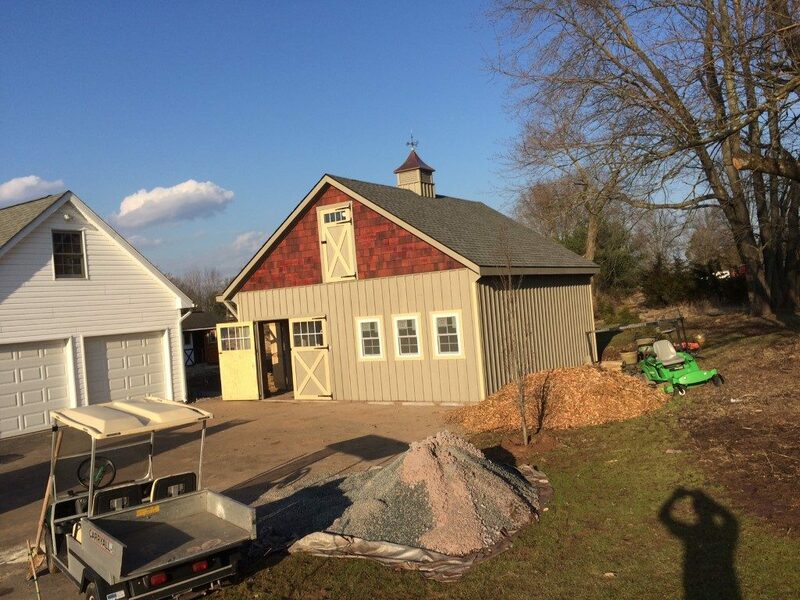 This Perkasie, PA garage was built with white pine board and batten siding painted with clay paint by Haley Paint Company. 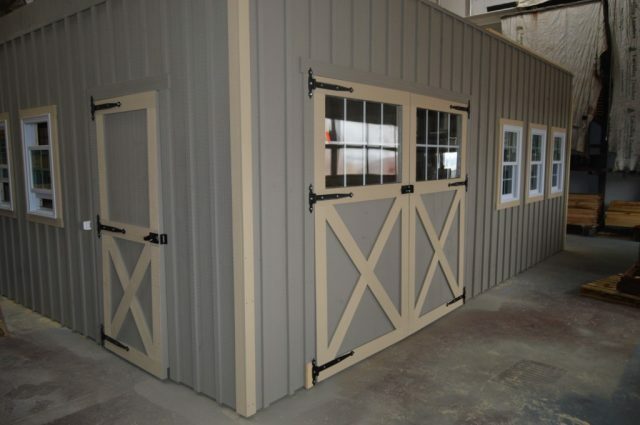 The window trim and door trim and crossbucks are painted tan. 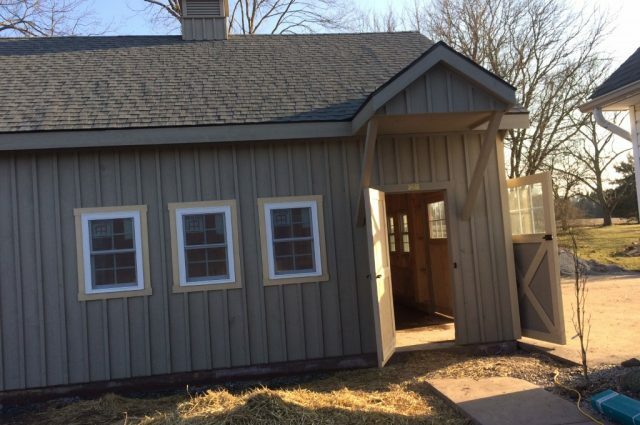 The loft gables have cedar shake siding with a custom stain. 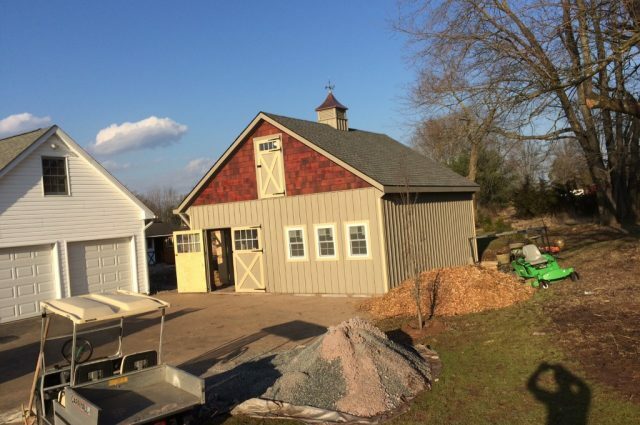 It has 8 pitch rafters and architectural shingle roof with GAF Timberline HD (Pewter Gray color) shingles. 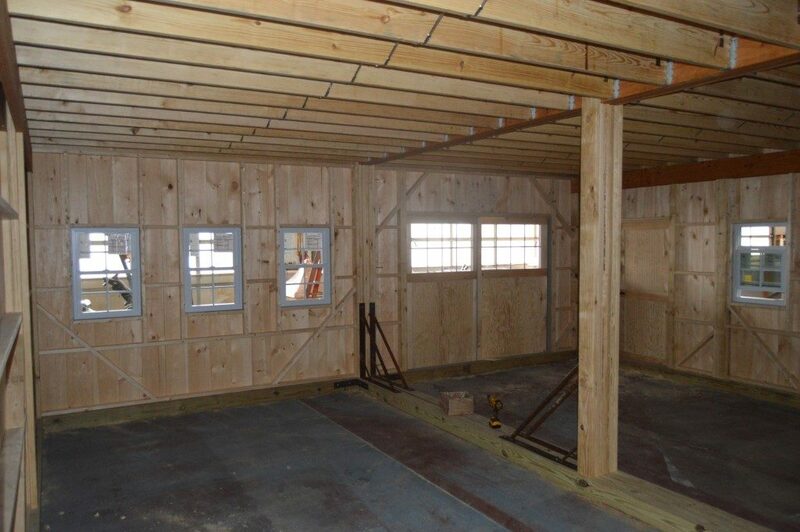 The windows are Andersen Silverline double-hung windows with screens by Bird-In-Hand Windows. 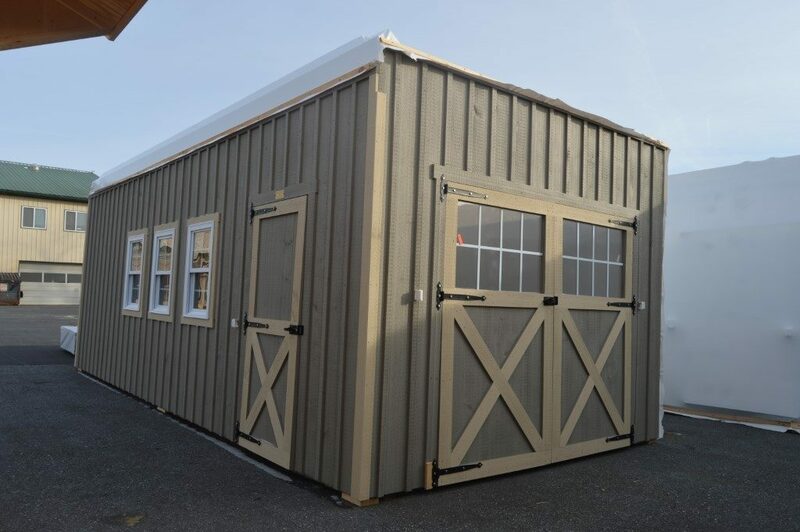 It has double 4’x7′ swinging doors with windows and a service door and a loft door with transom window manufactured by J&N Structures. 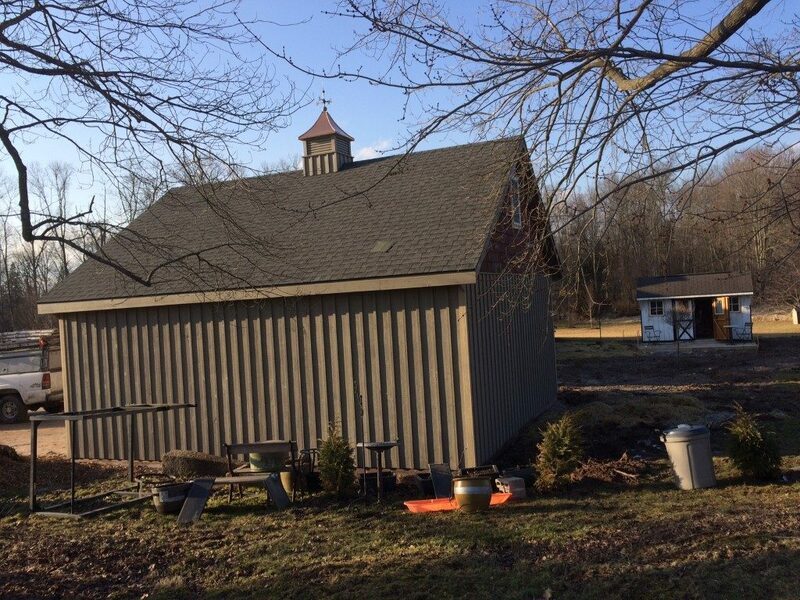 Up top is a B-32 Series cupola manufactured by Creative Cupolas. 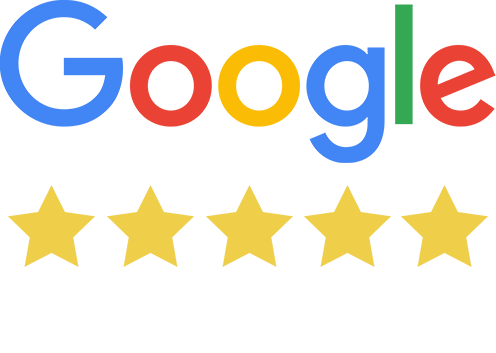 The foundation is a concrete pad installed by the customer. This double-wide garage has 9′ high ceiling with a full loft. 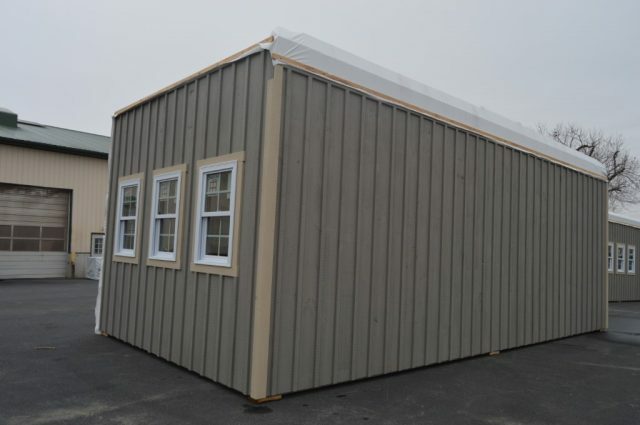 It has double swinging doors and (3) windows in the front. It has (3) windows along the left side along with a service door providing entry. 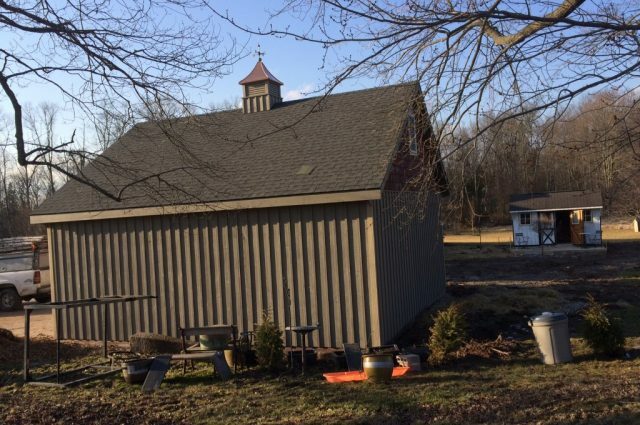 The service door has a small dormer above it. 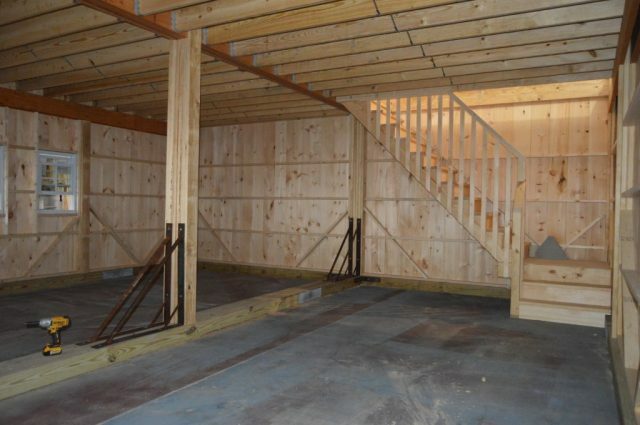 The loft is accessed via stairs. 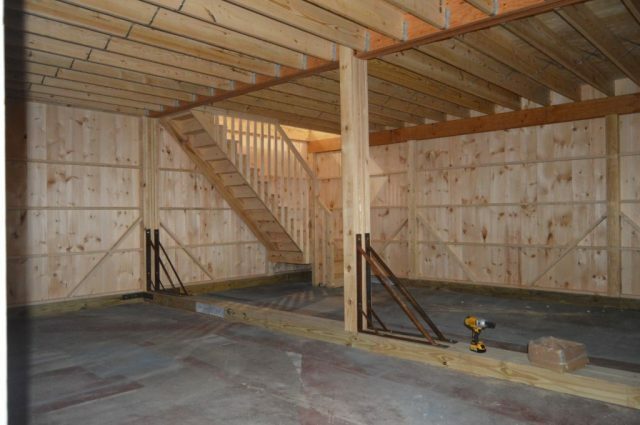 At one end of the loft is a loft door with transom window and at the other end is a window.